The Precious is one amongst the large and well known Business Conglomerates in the U.A.E. Our comprises of companies operating in various sectors that include Shipping, Automobiles, General Trading, Beauty Trades, IT, Travel and Tourism. The Precious is headquartered in the heart of UAE, Dubai. As pioneers in the business segments the Group operates in, it reflects the dynamism of the U.A.E and vision to continue growing with the Country since the company’s inception in 1990. The Group's presence in the most vibrant sectors of the UAE economy is the main fortitude which would not have been possible without the human capital of the Companies. Precious has its expansion in other countries and are located at Cyprus-Turkey and Mumbai-India. Precious is local in action and international in attitude. The value of human dignity is one of the cornerstones of Precious’s operating philosophy. We value long-term relationships - with business partners, customers, suppliers and our own staff. Wherever you go, you will find Precious people striving for excellence in everything they do, driven by a sense of determination and a desire to meet all their customers’ every service need. That combination of the personal touch with fierce professional pride is our corporate signature. Our privately-owned company, focuses on long-term commitments and lasting relationships with customers, suppliers and partners. Our financial strength, international reach, strong reputation and innovation enable us to expand in step with our customers worldwide, responding to their needs and the changing demands of local, regional and international markets. Our customers are central to everything we do. It is their ever-increasing demand for competitive solutions that drives us to refine and integrate our services to meet their needs. - Shipping was Precious business hallmark, dating back to 1983 when our first office opened by providing land and ship services. Today, Precious Shipping is a fully fledged provider of services to ship owners and operators. Not only that, we have extensive experience in ship and cargo survey. - Our Logistics operation initiated from our forwarding, warehousing and distribution operations in Jebel Ali port. Today, Precious Logistics has grown into an international network providing a rich range of general and specialist logistics services. When most think about Precious Shipping, they relate to our good history in the Shipping and Logistics scene and our widespread geographical locations within UAE, India, and world wide services to almost all over the continents. Since the first Precious operation in UAE, the Group has evolved into a widely-recognized regional provider of integrated shipping, logistics and related services of today. Precious’s internationalization strategy is to use steady and consistent geographical expansion, achieved through team work and opportunistic growth. 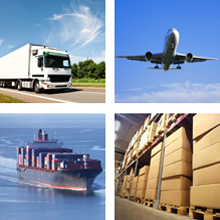 Precious Shipping is committed to ensuring customers’ needs for quality shipping, logistics and related services.